Get your recording of our Job Market Report Webinar! Millions of jobs remain unfilled in today’s full employment economy and hiring managers are challenged like never before to attract and retain top performers. 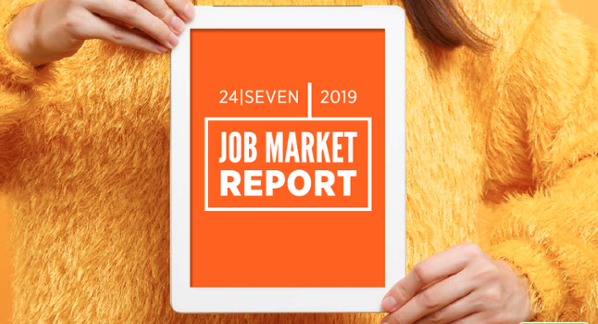 24 Seven's 2019 Job Market Report showcases compensation data as well as job market attitudes and behaviors among over 2000 professionals in the creatively-driven industries of Digital Marketing, Creative Services, Development & Tech, Ecommerce, Fashion, Retail and Beauty.